Airplane! is it. It’s the one comedy that everybody should see before they die. It is beyond a mere comedy. It is nonstop absurdity. Practically every single line of dialog is a joke. Almost every shot has a gag. The film premiered in 1980 and is still being quoted regularly. It had a tremendous impact on Hollywood and pop culture in general. The response is always the same whenever people find out that somebody hasn’t seen the movie: they all say, “Surely, you must be joking.” The unlucky chap doesn’t know that he is being called Shirley. Jim Abrahams, David Zucker, and Jerry Zucker all wrote and directed the film. Robert Hays stars as Ted Striker, a former war pilot with a drinking problem, and he’s forced to fly a commercial airliner when the flight crew gets food poisoning. He’s trying to reconcile with his ex-girlfriend Elaine (played by Julie Hagerty), who happens to be a stewardess on the flight. Leslie Nielsen play Dr. Rumack in the role that turned him into a comedic genius. Lloyd Bridges has a role as a flight tower supervisor tasked with guiding the plane home safely, and he picked a hell of a week to quit drinking. Some of the jokes are dated and the punchlines have been lost to time. I doubt anybody under the age of twenty will get half the jokes, but that doesn’t stop the film from being hilarious. 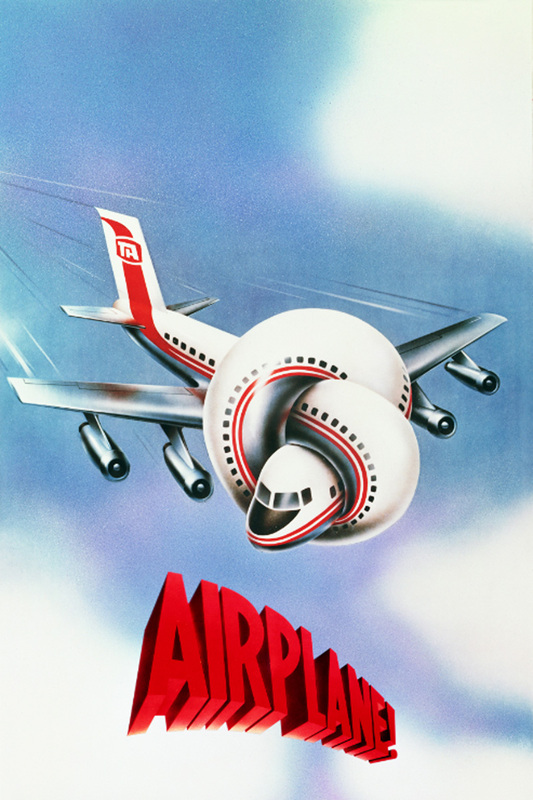 Good comedy is timeless and that’s why Airplane! is still relevant today. Airplane! is a good personality test. I wouldn’t trust anybody who doesn’t appreciate this movie.